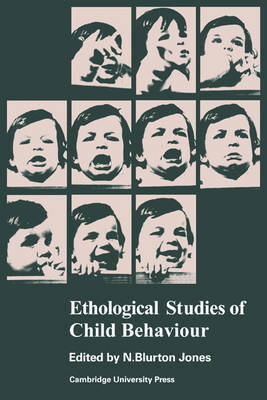 This 1972 volume contains specially written reports by research workers in zoology, psychology and psychiatry applying methods of comparative ethology in studies of human behaviour. It is intended as a contrast to popular researches in animal behaviour. There has been a considerable increase in the number of descriptive/analytical studies of human behaviour concerned principally with the behaviour of children and their mothers, and the methods have become widely used. The present collection of papers assesses the value of the methods and clarifies the particular contributions which they may make to an understanding of human behaviour. The papers cover a range of topics familiar from animal studies: non-verbal communication, mother-infant interaction, play and aggressive behaviour, but also range widely into more usual subjects for developmental psychology: cross-cultural studies, development of skills, class differences in mother-infant interactions. This is essentially a book for research workers, teachers and students of behavioural sciences.